Shopping for Alice in Wonderland Wallets? Don't wander too far down the rabbit hole without this Alice in Wonderland Alice and Friends Zip Around Wallet to hold your cards and cash. This faux leather wallet displays all your favorite characters from Alice in Wonderland. 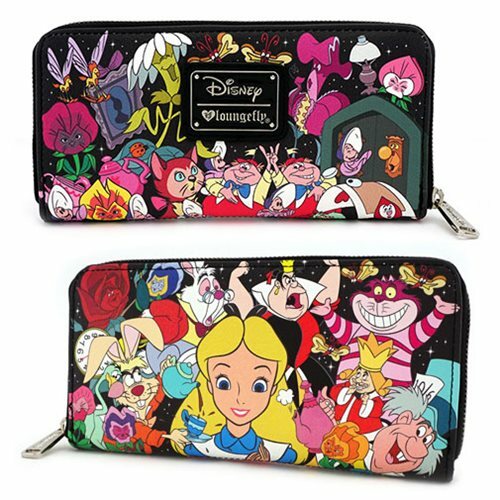 With characters like Alice, the Mad Hatter, Cheshire, and more, this wallet is a must have for all fans of the Disney classic. This wallet has a double sided print and measures about 8-inches wide x 4-inches tall.